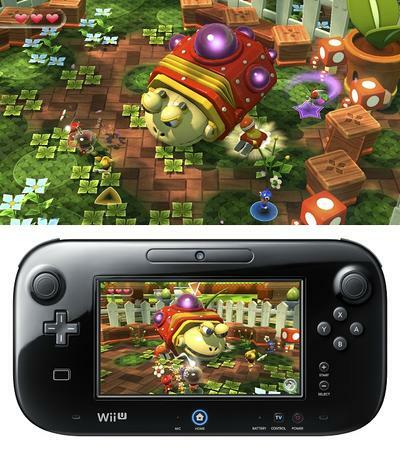 Nintendo’s brand new console, the Wii U, launched this weekend. It’s the only new console available this year, and it marks the first step into a brand new generation of platform gaming. Our Wii U is in the mail. Specifically, the Gaming section’s Wii U is on its way to my house so I can put it through its paces. The main TechnoBuffalo office is getting the basic model today (in fact, Jon Rettinger has already filmed the unboxing video for it as I whip up this article), and I’ll have my Deluxe bundle tomorrow. These are the three Wii U games we’ll be playing. This one is coming bundled with the Deluxe version of the Wii U. If it wasn’t in the box for the system, I’d be running out to buy it anyways. The best way I can describe Nintendo Land is to say that it’s essentially the Wii U’s version of Wii Sports. Only, instead of generic characters and sporting events, Nintendo built mini-games around a theme park featuring their best licenses. Mario, Metroid, F-Zero, Pikmin and Donkey Kong are all present and accounted for. This is a collection of 12 attractions meant to show off the capabilities of the Wii U, its GamePad and its new asymmetrical multiplayer. Each game features unique ways to play. So, you can fly a ship in Metroid Blast, guide Pikmin in Pikmin Adventure or go after Mario in Mario Chase. What’s great about Nintendo Land, though, is that these attractions are more than just quick blips of play. Each one features several levels and challenges. And playing through them unlocks trophies for the theme park hubworld between attractions. Sure, it’s a silly little addition, but these tiny pieces of charm are what makes Nintendo, well, Nintendo. Okay, here’s an interesting little tidbit, New Super Mario Bros. U marks the first time Nintendo’s launched a console with a traditional Mario game in 16 years. That goes all the way back to the Nintendo 64. Yep, the Nintendo 64 is 16 years old, and that is terrifying. The most exciting thing about New Super Mario Bros. U, aside from the fact that it’s an HD Mario title, is that folks are claiming that it’s the spiritual successor to Super Mario World. Out of the entire Mario franchise, Super Mario World stands as my absolute favorite. Each level and world packed with it an immense amount of secrets and a wealth of gaming challenges that actually tasked players with becoming better in order to succeed. 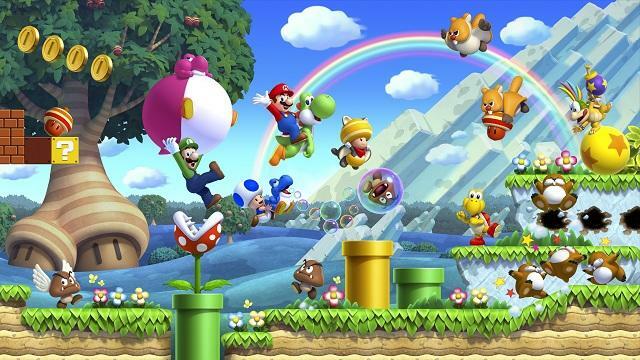 Everything I’ve seen and experienced regarding New Super Mario Bros. U has been positive. Well, almost everything. I absolutely hate that the gameplay they came up with for the GamePad during multiplayer is to place blocks for players to jump on. Talk about boring. This one’s the dark horse of our list. ZombiU has been a game that, quite frankly, I haven’t expected to much from since its inception. ZombiU started out as Killer Freaks from Outer Space, the Wii U game Ubisoft showed off two E3s ago. After a poor reception, Killer Freaks got a name change and a brand new premise. Suddenly, Ubisoft went from having a launch line-up dud to something of a mysterious contender. ZombiU promises to bring survival horror back to the zombie gaming genre. This isn’t a Left 4 Dead or Resident Evil 6 experience. Instead, you’ll be tasked with managing resources and trying to survive the undead streets of London. Oh, and when you die, you’re dead. Your corpse moves into zombie form and you resume the game as a different survivor. Are you picking up the Wii U? Which games will you play?